In the early 1980s, MSU was adversely affected by a substantial budget shortfall. All departments, colleges, units, and programs at MSU were involved in coordinated planning and budget reduction processes. These processes resulted in the curtailment, elimination, and modification of many programs, with serious impact on many faculty and staff. This presentation consists of reflections on these processes and on the experience of participation. The crisis signaled an important step in the systemic emergence of MSU as a university responsive to the efficiencies of markets and harmonious with neoliberal principles. Dr. Robert J. Griffore is professor emeritus of Human Development and Family Studies (HDFS) and a consultant to the Community Evaluation and Research Collaborative. He served as chairperson, associate chairperson, and graduate director of the department. He earned M.A. and Ph.D. degrees from Michigan State University from the Department of Counseling, Educational Psychology and Special Education. He received the Teaching Award in the College of Human Ecology and the McGraw-Hill Distinguished Scholar Award. He has taught courses in Quantitative Methods, Research Methods, Program Evaluation, Life Span Human Development, and Theories of Human Development. He is associate editor of the Family and Consumer Sciences Research Journal and a member of the editorial board of the journal. In addition, he is a member of the editorial board of the Journal of Behavioral and Social Sciences. 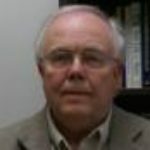 He is a reviewer for many other journals, including Child Development, American Journal of Orthopsychiatry, Journal of Personality and Social Psychology, Ecopsychology, and Critical Social Work. Current areas of scholarship include program evaluation, quantitative methods, research methods, human development theory, gerontology, long-term care, and metacontingency theory.